How many of us can attest to going through a storm, to being on the brink of no return, to being so overwhelmed with the weight of the world, you have lost all hope? As all of Houston and the surrounding areas continue to be pummeled by #HurricaneHarvey, I can imagine many people have begun to lose hope and worse, some have given up. But even in the storm, there is still reason to believe it will all work out. It seems easy to weather the storm (pun intended) when you are not the one going through it, but as I am literally and currently dealing with the fallout of the hurricane devastating Houston, I promise you, easy is not the first thing that comes to mind. Not to mention as a native #NewOrleanian on the eve of #Katrina, this is far from an easy time. The memories of all that was lost during Katrina, the lives that were forever changed, and now watching it happen all over again in Houston is a painful reminder of how fleeing and fickle life can truly become. But what does come to mind during this ordeal is the story of Jonah and the whale, for more reasons than the obvious. Jonah ran from what he was purposed to do, denied who he was, became disobedient and indignant, and caused himself to be a much dire situation. When we think we know it all, fail to accept who we are and what we are supposed to do, become stubborn and impervious to reality, we often find ourselves in unfamiliar territory with little hope and less of a chance for recovery. And here is where Jonah found himself. But I have great news… this is not where the story ends. 1.) Just because it doesn’t look like what you expected, that does not mean it is not for you. We, and I mean all of us, too often get caught up in the appearance of things, how we interpret what it should look like, the outer shell, based on a self-imposed preference. Many times the things that are best for us, are the things we never imagined or expected. None of us know it all and none of us can have everything as we want it, but when we venture out of our comfort zones, we discover a brand new world that is more inspiring and vibrant than any we could have ever conjured up. Let go of the #stigmas and #explore the #unknown. 2.) Disobedience and rebellion is a self-made prison. Jonah ran from his calling and was disobedient in fulfilling the assignment given to him. When you run from what you are supposed to do, you will find yourself trapped in the belly of the beast. 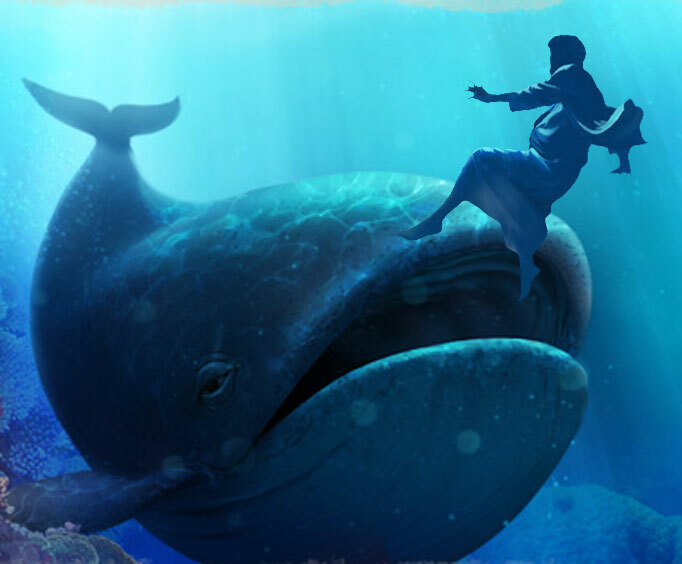 Because Jonah fled from what he was supposed to do, he ultimately put himself in a worse situation, being tossed from the ship that was supposed to rescue him and being swallowed by a giant whale. When you run from #truth, you will inevitably be swallowed by #deceit, #destruction, and #devastation. 3.) The storm is not always the problem, but oftentimes the solution. Despite Jonah’s stubbornness, arrogance, disobedience, rebellious nature, and attempt to run from his duties, the storm that ensued was probably the best thing that ever happened to him! Not only did the storm force him to change course, but it also threw him overboard. Once thrown overboard he found himself deep in despair with no way out. But what Jonah did not know is that the storm was the prelude to his resurrection and triumphant victory! The #storm can provide a way #out and #force us to become who we are #destined to become. I say to all those in Houston, those remembering Katrina, and those who have yet to experience a “storm,” do not fret, but instead see it for what it is – a prelude to victory! Sometimes, things have to be broken down and washed away to allow for regrowth, revitalization, and to renew. Do not run from your purpose, embrace your calling, and no matter how bleak it may seem, never lose hope. Storms do not last always. Today I am celebrating my anniversary, trapped inside by flood waters all around, rain pouring at a record pace, unrelenting and with no sign of stopping, and destruction and devastation touching everywhere imaginable. My wife and I had plans to celebrate this weekend, but mother nature had different plans. Nonetheless, we are grateful to be safe and to be together. Like the storm outside, we know there will be storms in our marriage, but if we hold on, not worry about what we think it should look like or how we individually want it, be obedient to the covenant and commitment we made to each other and Christ, and realize and know that even the worse storms can provide unforseen victories. Happy Anniversary Love! This will be another chapter in our testimony!